This listing is for a truly unique little kit. This listing is for a high quality 3v 5mW Dot laser with an adjustable mounting fixture that is easily adjusted so that the laser faces any direction. This mounting fixture comes with all of the relative mounting hardware so that you can fasten it easily to a wall or project box. 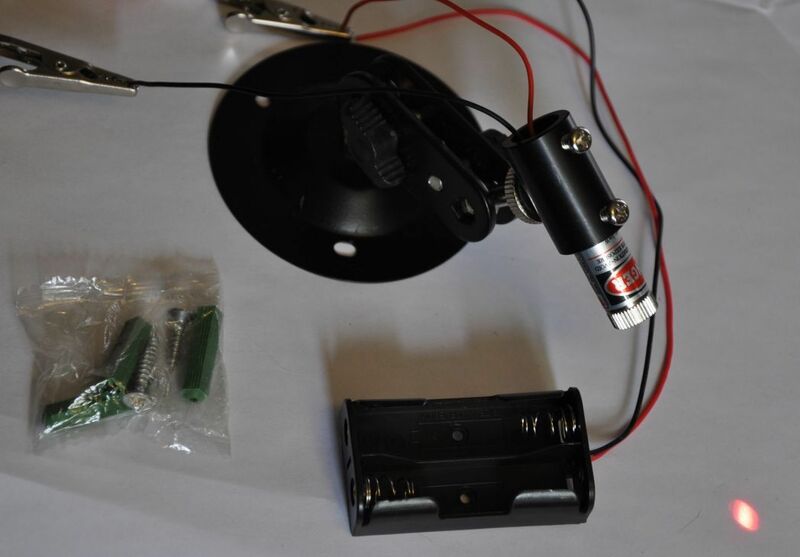 As well, this listing includes a battery holder that houses 2x AA batteries in series so that you can power your laser. The red wire on the battery holder connects to the red wire of the laser, and the black wire on the battery holder connects to the black wire of the laser. We also have lasers that offer cross hair output, and straight line output, so if you want to interchange, send us a specific request before you purchase, and we will make make the change to the order with no additional fee. By default, this kit comes with dot laser. This would work well with one of our DIY laser security system kits. There is a video for one of said kits below, but that does not come with this listing. it must be purchased separately. The Laser is easily fitted into the holder, and there are two screws that can be gentle adjusted to keep the laser solidly in place. As for the adjustment of the mounting fixture, it is pretty self explanatory. If you require assistance of any kind, we`re always here to help, but it really does not require any explanation. Both the laser and the mounting fixture are excellent quality. Each laser is tested before shipment, and each mounting fixture is checked to ensure that all of the hardware is included prior to shipment. 1) A single 3v 5mW Dot laser with metal casing. 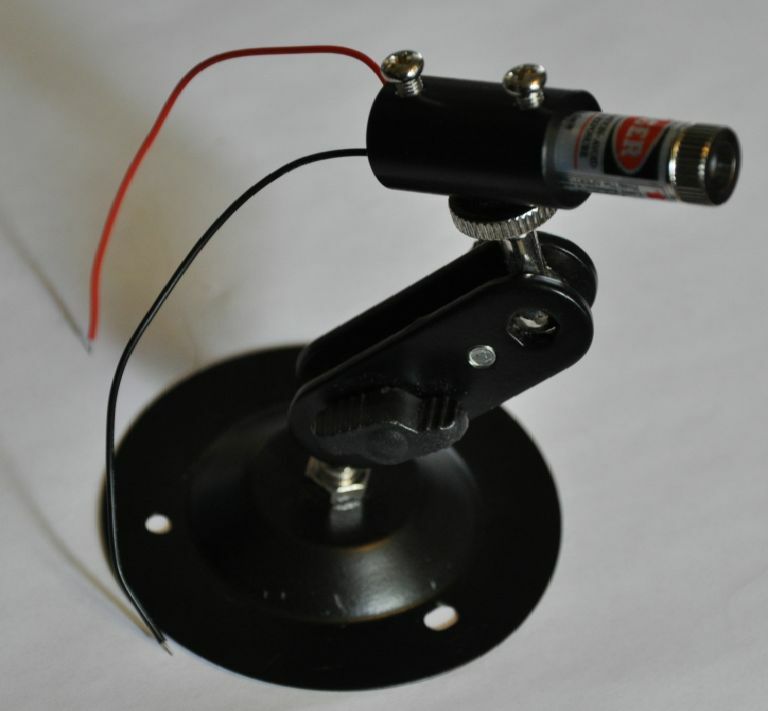 2) A single adjustable mounting fixture that holds the laser. 3) All of the relative mounting hardware required to fasten the mounting fixture to a wall or project box.